Good day everyone!!! 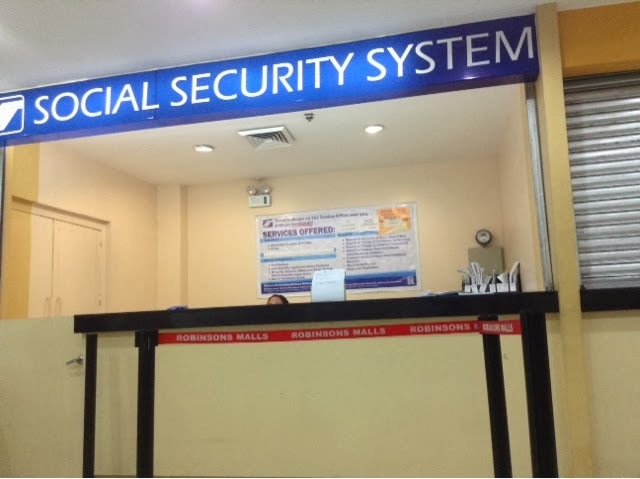 Here’s a post regarding how i applied for my SSS number in Robinson’s Galleria Pinoy Lingkod Center. Open every Tuesdays to Saturdays 10am-6pm. Not open on December 24 and December 25,2013. Original Birth Certificate, bring the original with you but they will ask you to photocopy it. But please bring still the oroginal for they might ask for it. 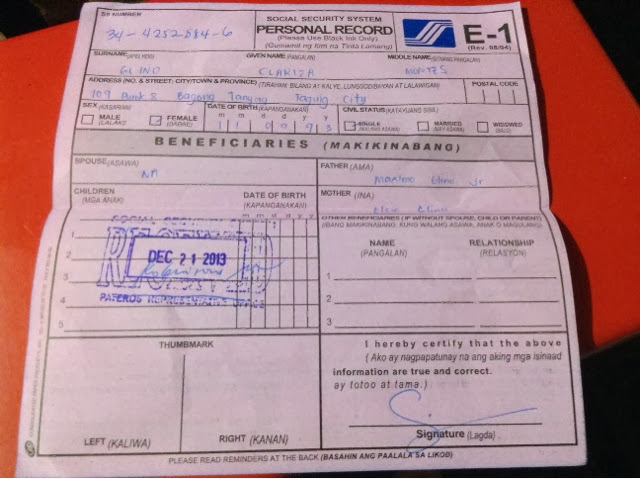 If you don’t have the original birth certificate, you may present your original baptismal certificate and same thing have a phitocopy with you. Go to Robinson’s Galleria Pinoy Lingkod Center located in Level 1 beside the DQ Ice Cream shop. 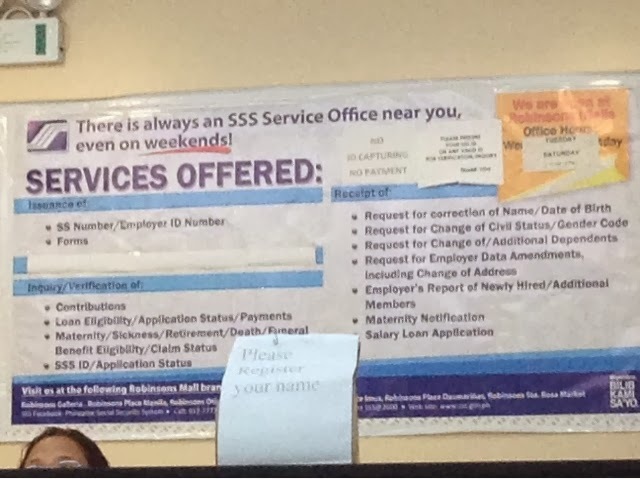 The SSS helpdesk is beside the Philhealth Express. Log in your name and signature in the log book. They will be asking you to log in whether you are there to simply ask a question or process anything. Fill in the E-1 Personal Record form. And then after that there is stamp where you have to place in your left and right thumbmark. 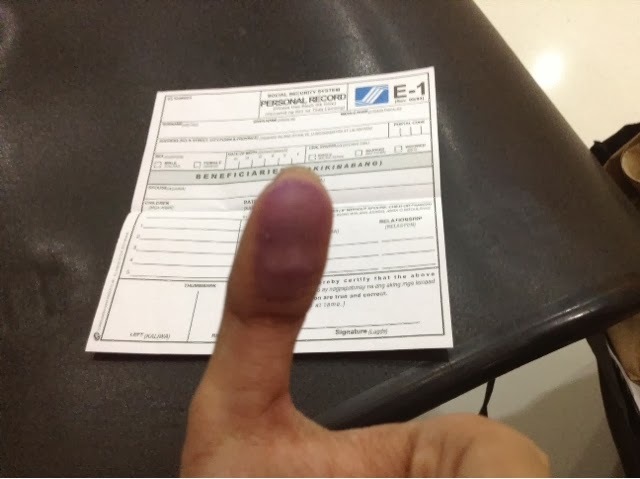 Hand in the photocopy of your birth certificate or baptismal. After this present to the receptionist and she will then record your account in the SSS portal. Note: There are times when the sytem is down or offline and the receptionist will ask you to wait. 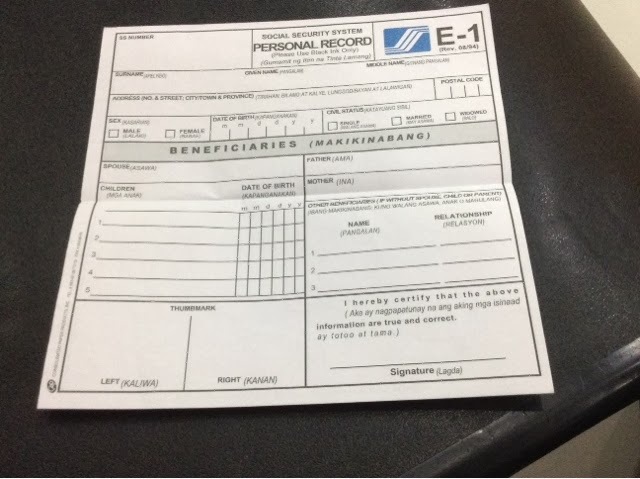 Once the personnel is done with your application in their system computer, the pink copy of the E-1 form will be yours and the SSS Number is already encoded. Also take note to ask for your ID back. Yehey for my SSS Number!!!! Thank you for reading my post. I hope you learn something.